We offer large scale precision machining of single or multiple parts. We provide overall planning, coordination and control of projects, so you don’t have to worry about anything. We rebuilt an entire school center in upper east London in just 2 years. The school is now more efficient then ever before. Our highly skilled certified technicians which ensure that every projects is done with highest professionalism using quality materials. We pride ourselves in complete all projects with integrity and fairness, not just with our clients, but also our suppliers and subcontractors. We work with top designers and engineers but also ensure the pricing is affordable for you, our valued customer. Scriven Precision Fabricating specializes in the production of electronic chassis and related components. We provide quality product within a .005 tolerance if needed. We also pride ourselves with dependable deliveries. 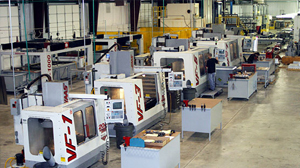 Our 13,500-square-foot facility located in Chandler, Arizona, has the most modern CNC punching equipment available. 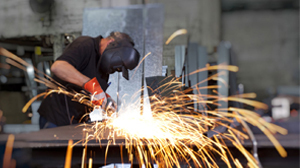 Scriven Precision can handle your stamping, welding and forming needs.Our equipment allows us to offer large production runs with scheduled deliveries, as well as prototype to medium and small production runs.